From July 2nd, existing child care payments will be replaced by the Child Care Subsidy (CCS). 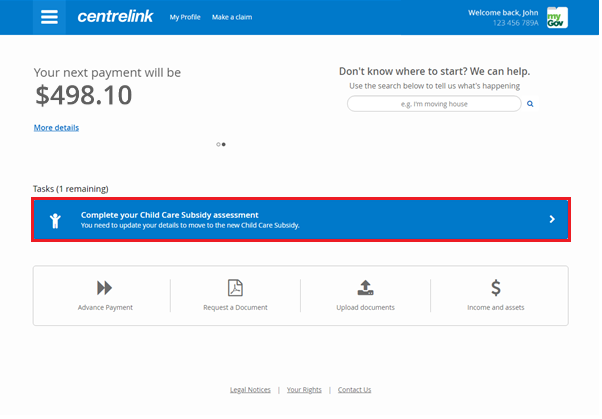 If you currently receive a child care payment for approved care, you must complete a Child Care Subsidy assessment that will allow the Department of Human Services to determine your eligibility for the CCS. 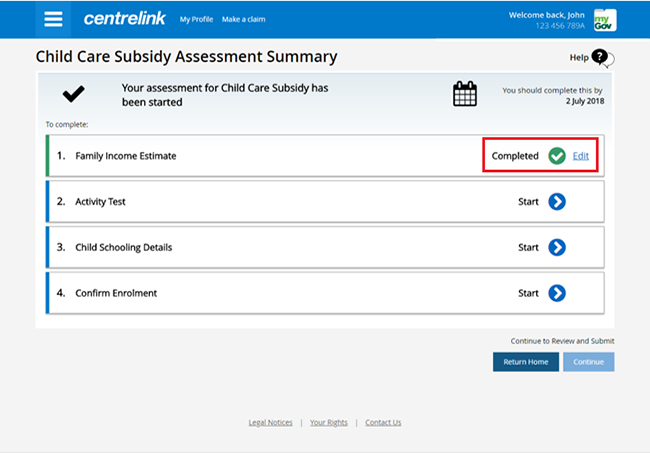 KidsXap details the process in 5 easy steps to help you complete your Child Care Subsidy assessment online. 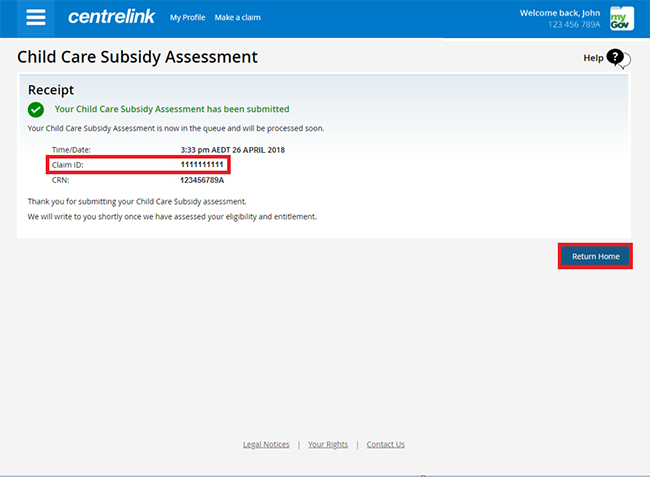 Navigate to the Child Care Subsidy assessment task that appears on your homepage. Completion of the assessment will vary depending on your circumstances. Click ‘start’ to begin the first step. You can either confirm prefilled details or supply new details. When a page is completed, click ‘next’. You’ll then be able to move on to the next step or edit any previous steps if necessary. When all steps have been completed, click ‘continue’. If more information is required, you may be asked to provide supporting documents. Attach the necessary files and accept the declaration. Before you submit the assessment, ensure that all details are correct by scrolling through. If any changes need to be made, click ‘edit’. 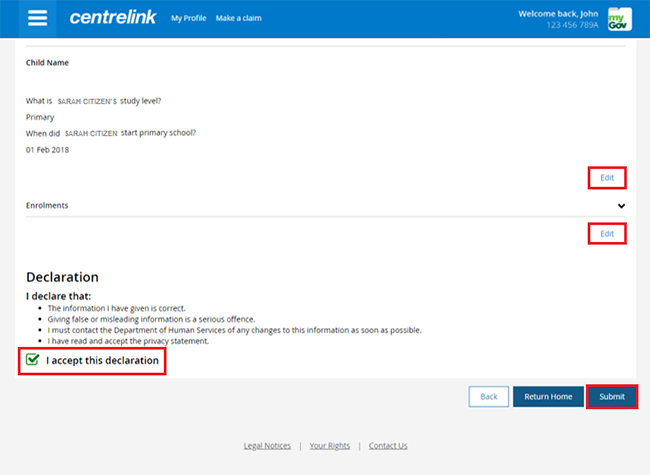 Once you’re sure all details provided are correct, read the declaration and accept it. Finally, click ‘submit’ to submit the assessment. After submitting your assessment, you’ll be provided with a receipt that includes a claim ID and the time and date. After making a note of your claim ID, click ‘return home’. 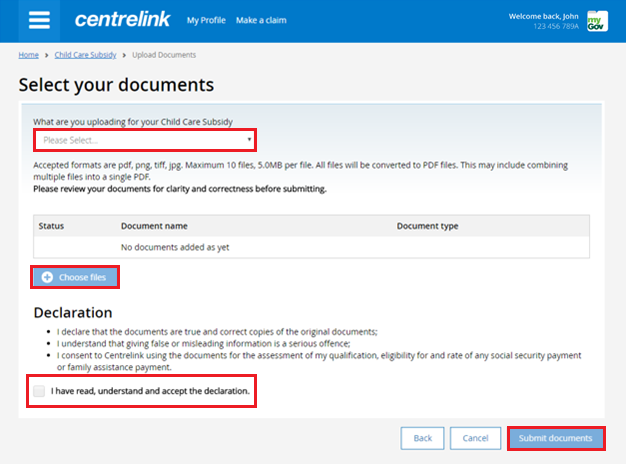 If you have no other tasks to complete, sign out of your myGov account. You will receive notification once your claim has been assessed. For further assistance completing the CCS assessment, get in touch with the Department of Human Services.